This lovely summer flower, also known as Bats-in-the-belfry, copes well with the shady conditions beneath unmanaged hedgerows. 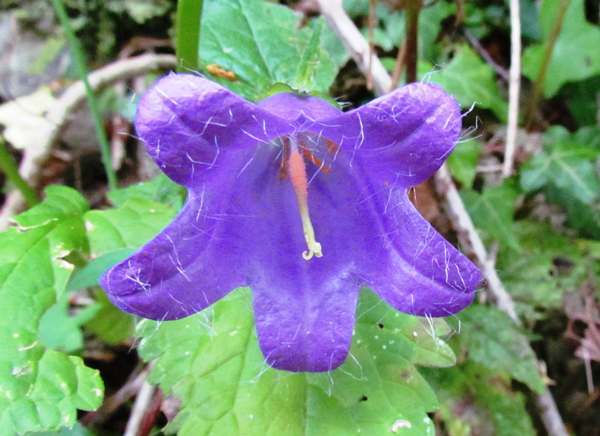 The flowers are typically 35 mm across and are usually violet, but they can occasionally be white. This flower is really only common in the south and east of Britain now (although it occurs in many other European countries), and is in decline due to the degradation of its habitiat, in particular the destruction of hedgerows. 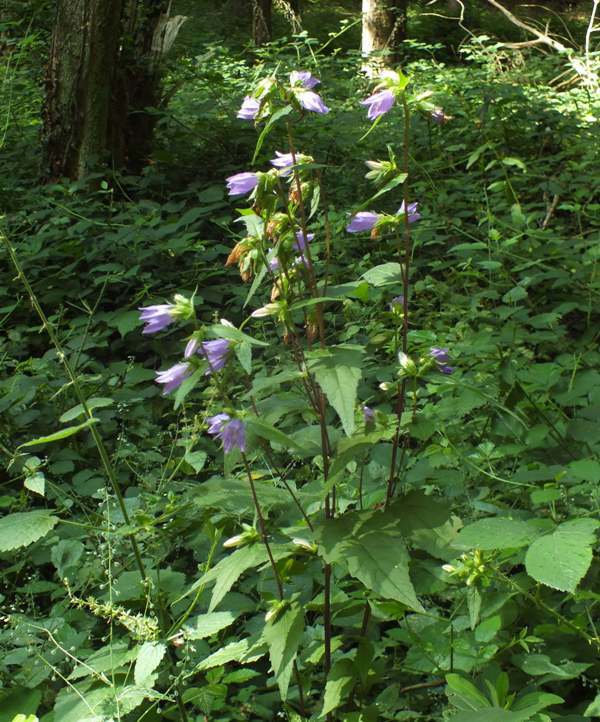 In Wales we have found plenty of these lovely bellflowers in bloom beside the Llangollen Canal, where they are usually at their best in late June.